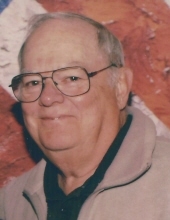 Former Sumas City Mayor and Pharmacist Robert “Bob” A. Mitchell passed away Sunday, March 31, 2019, with his family by his side. He was known for being generous with his time and many talents not only to his family but his community. Bob was born on October 17, 1934 in O’Neill, Nebraska to parents George and Blanche (Abbott) Mitchell, the youngest of five children. His family moved from Nebraska to Bellingham in 1940. He graduated from Bellingham High School in 1952. In 1957, he graduated UW School of Pharmacy and married Dixie Ann Smith. Bob and Dixie moved to Concrete, WA where he operated a pharmacy for 5 years. The family moved to Sumas in 1962 and purchased Sumas Drug. Through the years Bob could be found in the drug store at the pharmacy counter or back in his office until his retirement in 2007. It didn’t take long for Bob to jump into public service for his new hometown. He gave 32 years of service to the City of Sumas, 10 on the City Council and 22 as Mayor. While in public office, Bob diligently worked on projects to improve streets, water and sewage services. His negotiating skills and persistence helped bring enormous light industry growth to Sumas including an electrical code generator facility and a shingle mill. In the mid-1980s the Port of Bellingham expanded its projects into Sumas with Bob’s help the Port received a federal grant to build a major access road into the industrial area. In recognition of these projects and others, Bob was named Lynden Tribune’s Man of Year in 1997. In retirement, Bob volunteered for Whatcom County for about 11 years working on the Whatcom Counties flood, water and endangered species plans. With the help of Jim Noteboom, Bob started the Sumas Food Bank in 2009. He and Dixie enjoyed traveling, especially with their grand kids, going on graduation trips with them and following their sporting activities around the country were some of his fondest memories. Bob is preceded in death by his parents, two brothers Don and Merle(Pat), two sisters Margaret and Phyllis and sister in law Norah Smith. He is survived by his loving wife of 64 years Dixie; three children Scott (Linda) Mitchell, Cynthia (Richard) Osthoff, and Robert Randall (Linda) Mitchell; grandchildren Tyler (Allison) Mitchell, Jennifer (Ty) Simmons, Kyle Mitchell, Christopher (Ali) Mitchell, Alexandra (Matthew) Gullikson, Nicholas Mitchell, and Jacob Mitchell; great grandchildren Kade and Finley, Octavius and Sebastian, Liv and Ila, Coley, McKenzie and Hunter; and brother in law Gary Smith along with many extended family, friends and community members. The family would like to thank the staff at the Christian Health Center for their wonderful help these last 3 years. There will be a private family graveside service for Bob at Sumas Cemetery. Memorials in Bob’s name may be sent to the Nooksack Valley Food Bank, c/o Ted and Diane Lautenbach, 205 Reeds Lane #6, Everson, WA 98247. Funeral arrangements are entrusted to Gillies Funeral Home and Cremation Services. To send flowers or a remembrance gift to the family of Robert A Mitchell, please visit our Tribute Store. "Email Address" would like to share the life celebration of Robert A Mitchell. Click on the "link" to go to share a favorite memory or leave a condolence message for the family.